I recently had dinner with a Marine Corps officer who recruits officer candidates to serve in the Marine Corps. I wasn’t surprised when he told me that his greatest challenge was to find young men and women who could see beyond the initial, youthful, and energetic enthusiasm and stay with the program through to accepting a commission and become an officer. 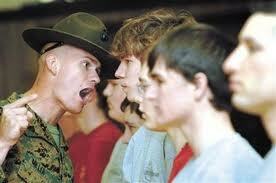 Too often he found the eager, 3.9-average student, athlete, and over-achiever who signed on and subsequently dropped out during basic training. It was evident to him that the best recruits were those that had to deal with some kind of adversity in their lives.